In today’s digital age, some people are yet to adapt to the fast-changing evolution of technology. Good thing Paycent is here to help people realise that traditional ways can be changed for the better. Paycent is a Singapore-based product with a mission to be the global leader for complete mobile and cashless transactions. We offer users a secure and convenient digital payment platform so you can shop, send and receive money, and pay bills without using cash or credit cards. Now picture this, imagine yourself as a homemaker. And you’re taking care of your 3 children while your husband works in a different country. You will have bills to pay, a house to clean up, and 3 lovely children to take care of. It’s not an easy task. As a homemaker, you will need to manage your trips to the bank to claim the funds sent by your husband. You will also have to pay your existing bills before its deadline. In addition to that, imagine that you have to take your 2-year old child with you every time you go to the bank or payment centers. Paycent’s aim is to eliminate the hassle you feel as much as possible in receiving funds and paying your bills. The only thing you have to do is download Paycent and make sure your husband has the app too and you can start sending and receiving funds with just a few swipes. Upon receiving the fund, you can now proceed to enjoy the benefits of having Paycent. No more long lines in the bank and payment centers. The hassle of commuting is also diminished. 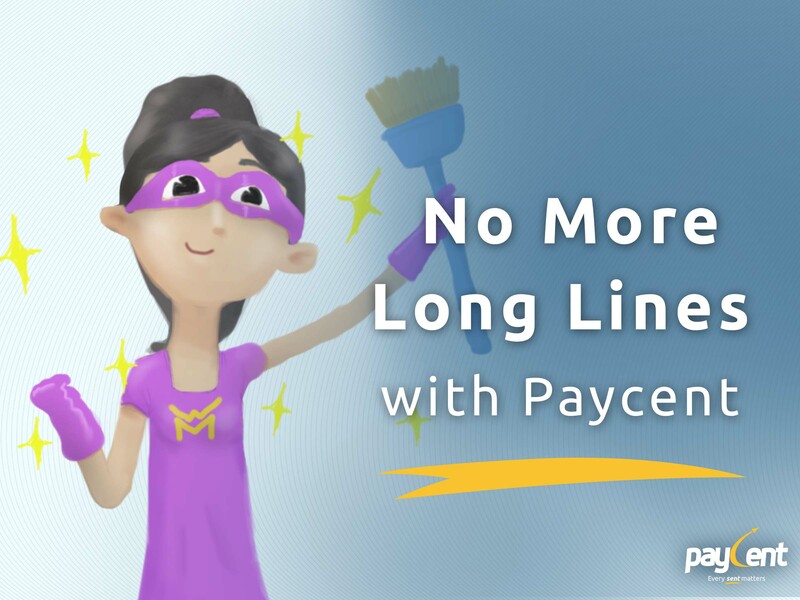 Your problem with deadlines can now be easily answered through Paycent. Pay on or before your due date anytime and anywhere. Paycent is here to offer convenience and allow people to maximise their time. If you’re busy at work or a homemaker, this wallet application might be the app you need to help you on a daily basis.